The resort in Belek is in a world of its own. A resort holiday could hardly be more diverse and vibrant: an aquapark, cool parties, idyllic surroundings, children’s festivals, 800 m of the resort’s own sandy beach, first-class sports activities, small herb garden. 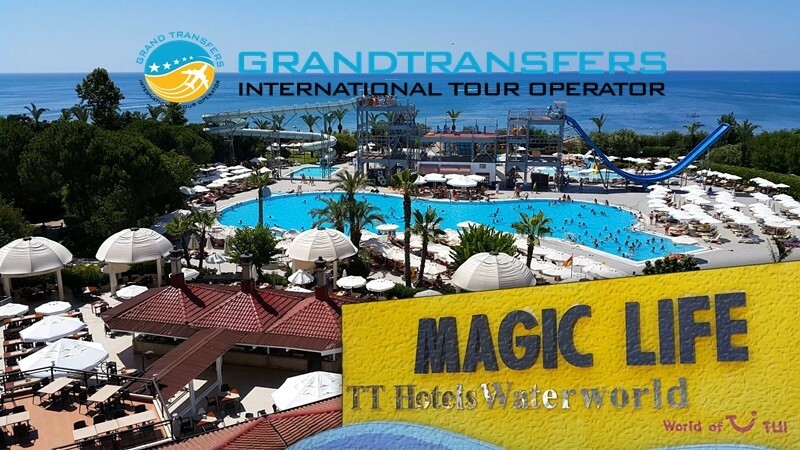 The largest TUI MAGIC LIFE resort offers everything the heart desires. Today you unwind at the Relaxation Pool and tomorrow you enjoy the thrill of water skiing. Plus, in the close vicinity of the peaceful resort grounds, set amidst the pines, numerous golf courses and shopping opportunities offer even more tempting diversions.